Finally, Gravure features fantasy engraving motifs inspired by monuments from Monsieur Christian Lacroix’s home town, 1900 century fashion with birds and butterflies as well as mountain landscapes in Provence. 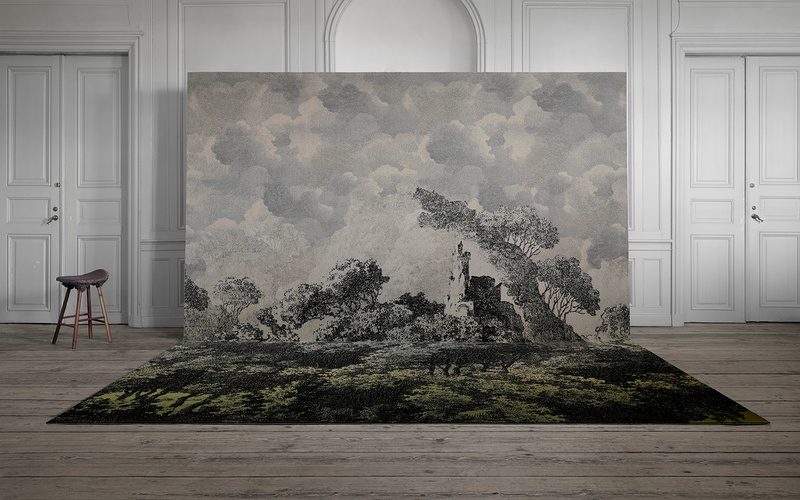 Monsieur Christian Lacroix explains: “For this third theme, the carpet is adorned with a collection of etchings of an imaginary landscape freely inspired by a Provençal town or lush Mediterranean hills, a scrapbook containing a patchwork of 19th century fashion and flights of butterflies, abstract sketches or graffiti, and streaks of ink to complete the cloud motifs." 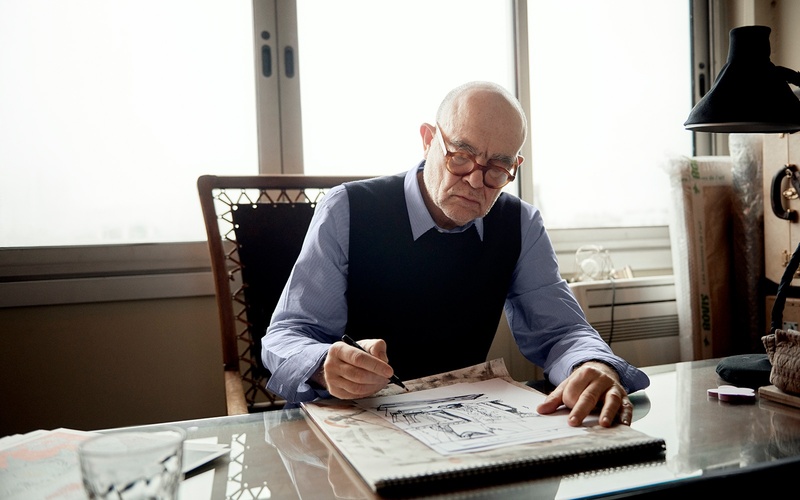 After studying classical literature and art history in Montpellier, then at the Sorbonne and the Ecole du Louvre, Monsieur Christian Lacroix migrated towards costume design and created his own fashion house in 1987. Since the 1980s, he has put his signature to the costumes and scenography of numerous theatrical, opera, ballet and museum productions. Since 2000, he has also been involved with more industrial design projects: TGV trains, hotels and cinemas. 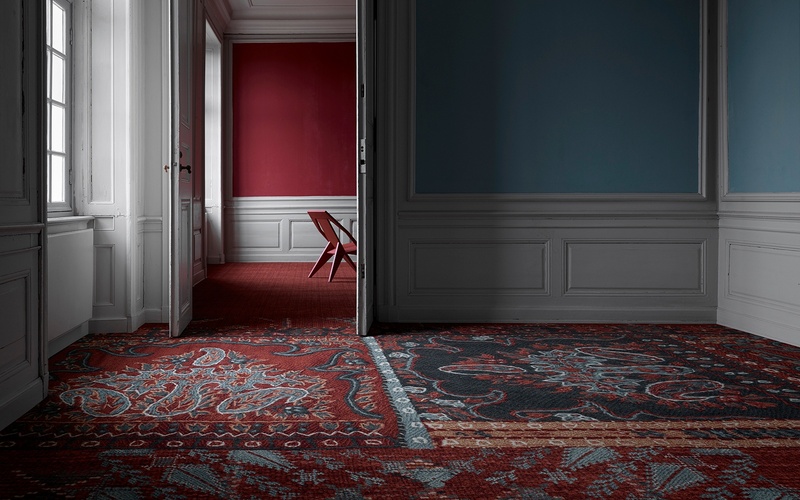 Having completed interior design work at several landmark hotels and museums Monsieur Christian Lacroix has worked with ege carpets on many prestigious projects such as Palais Galliera, Hôtel du Petit Moulin, Hôtel l’Antonie and Hôtel Notre Dame in Paris as well as Musée Réattu and Hôtel Jules César in Arles. Available in all Highline qualities, Atelier offers the choice of Highline 1100 made from regenerated and regenerable ECONYL® yarns. 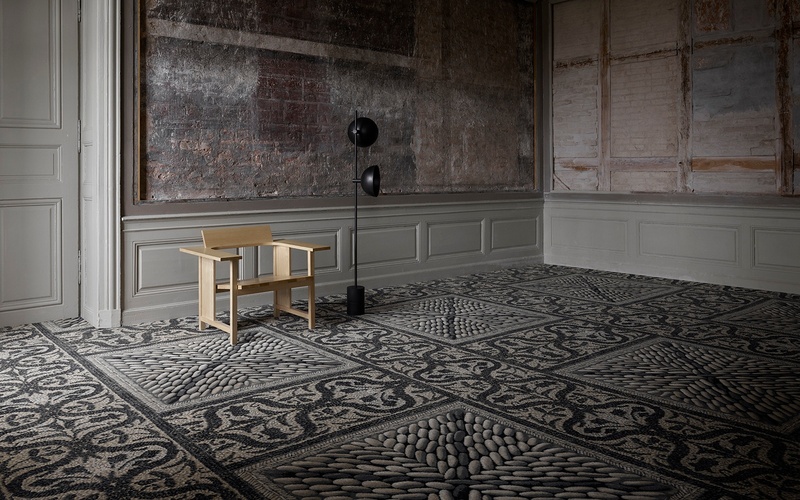 Produced from used fishing nets and other waste materials that are reborn as strong and hardwearing first-grade yarns for textile flooring, Atelier helps bringing responsible products into beautiful interior design projects.